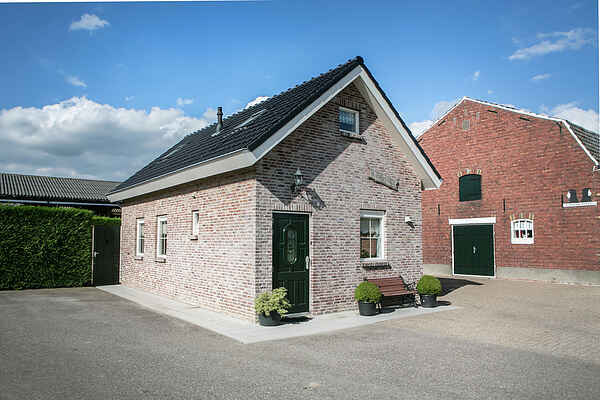 This recently built holiday-house is situated in a rural environment on the grounds of a farm run by the owner. The centre of Zundert is about 2km from here, where many activities (especially in summer) are being organized (such as the annual flower parade). The shops here are open every Sunday. You are very close to the border with Belgium, a lovely cycling area which you can access right from the house. Other excursions; Breda, a lively city of Brabant, the attraction and fairytale-park De Efteling and Baarle-Nassau, a Belgian enclave. There are two swimming-lakes in the area; the Galdersemeren and De Mosten. There is also natural park of Pannehoef, where you will be able to enjoy nature to the fullest! The home owner will be glad to give you a tour of the farm should you be interested.